South Korea’s Zandari Festa will again grace Hongdae this month, as it has done since 2012. 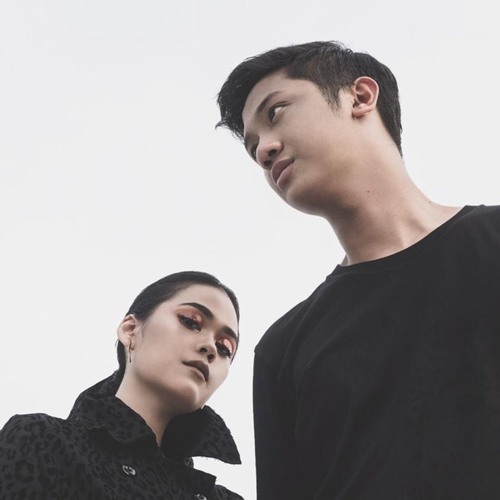 This year, Indonesian duo KimoKal will take part in the festival that brings together acts and music industry professionals from around the world. After a string of singles and mini albums, KimoKal released their full album O in 2016. Earlier this year, as they geared up for a busy year, they released the single One, in collaboration with another Indonesian stellar act, Neonomora. KimoKall will perform at Convent on October 7, 2018 at 21:40. Kimo and Kallula together answered the following questions for Zandari Festa. You’ve recently toured in Japan, the UK and visited the US for SXSW. What are some of your best memories from your recent tours? What are some of the things you’ve learned? All of the tours made their own memorable marks. We were surprised and pleased at how much appreciation our music got in Japan. SXSW in the US marked the furthest tour we’ve ever had. We had butterflies (in our stomach) before our performance, but they disappeared when the crowd started moving to our music. Finally, during our tour in the UK, we underwent a residential program where we worked in a studio with four other producers, three of which were UK-based. That definitely pushed our creativity. And now your’re preparing to go to Korea! How did you get to know about Zandari Festa? We were at LUCfest Music Festival in Taiwan and we met Zandari Festa’s director, Dalse, there. He got to know us and then here we are! What are you looking forward to from your participation in Zandari Festa? We’re really looking forward to meeting other acts from around the world. Every country we go to has a quite a different music industry landscape, and we’re excited to explore Korea’s. What can audience members expect from your Zandari Festa showcase? Music wise, our sound is inspired by psychedelic, nu-wave, dub, electronic, nu-disco, ballads, and pop. We put a lot of love into our music and we hope that it translates to the audience. As well, those coming to see us at Zandari Festa are going to get to hear some of our unreleased music! Aside from performing, what else would you like to do Seoul? We’ll probably check out the nightlife in Hongdae, visit Ikseon-Dong and shop for vinyl at Gimbap Records. And we want to eat street food at Gwanjang Market too. What else do you have planned for the rest of 2018 and early 2019? We’re currently working on our second album, and we’ve teamed up with Mercedez-Benz Indonesia to campaign together for our upcoming single and album. That’s where our main focus is right now. We’ll also have some performance here and there over the coming months as well. Started in 2012, Zandari Festa quickly established itself as South Korea’s top music showcase festival. The annual event takes place in Seoul’s Hongdae area, the epicenter of youth culture in South Korea and ground zero for the country’s indie music scene. Each fall, Zandari Festa brings together acts and music industry professionals from around the world for concerts and conferences at a number of unique venues around Hongdae. One wristband allows festival-goers access to all of Zandari Festa’s shows. Along with showcasing established acts and exciting up-and-comers from South Korea’s burgeoning indie scene, with each passing year Zandari Festa has placed a greater emphasis on becoming a truly global event. By attracting more international talent, Zandari Festa has been able to expose audiences to a wider range of music and has helped build bridges that have allowed for Korean and overseas artists, music companies and festivals to better communicate, work together and learn from each other. Zandari Festa 2018 takes places from October 4 – 7 and will see nearly 110 acts playing throughout Hongdae to enthusiastic crowds of music fans, journalists, and global industry professionals. Featuring four days packed with showcases, conferences, parties and networking opportunities, this year’s Zandari Festa promises to be the most exciting edition of the festival yet!